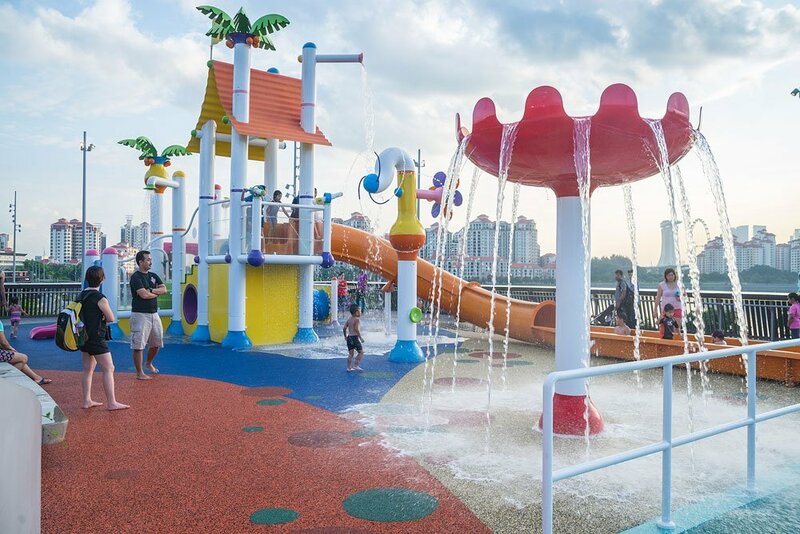 Empex Watertoys® has just completed the installation of an exciting Splash Park in Singapore’s Sports Hub. Working together with Playpoint Singapore, Empex created an exciting array of water features for children to age 12. A central Aquadek with swaying palms is the centerpiece of the installation. This structure has a large fiberglass slide, a tube slide, a triple rail slide and a preschool slide offering a total of five different slide experiences. The cantilever deck on the structure has interactive watershooters that can aim a soft jet of water at those below. Empex products are produced from nonferrous materials offering a lifetime corrosion warranty. 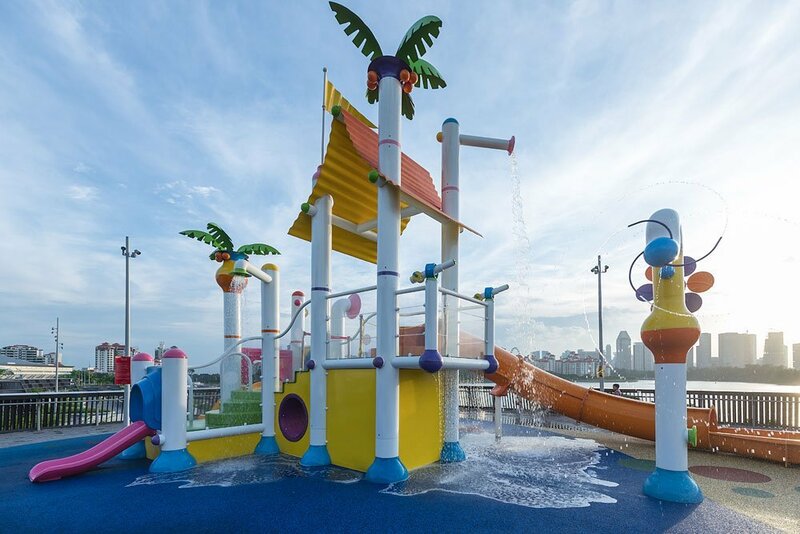 Surrounding the Aquadek play structure is the Aquawizz, an interactive water feature from the Empex Aquanetics line of products. A hand wheel can be turned to create three different water effects. An Aquastream provides a gentle water curtain as you walk through, and the Aquafountain sends down several streams of water on the frolicking children below. To include features for the younger children, a Baby Bungee provides a moulded seat for babes in arms, giving young moms and dads a place to safely place their infants away from the more boisterous. Preschool children can play on the Aquadome, a veritable mountain for toddlers that supplies an array of interactive laminar jets.